Don't waste your time opening jars, do them by yourself! You will find them in “La Bacoa” or just order them with your favorite burger. They match with everything! You hate them or love them, they’re always so controversial and creating discussion… We aren’t talking about politicians, it’s about pickles. 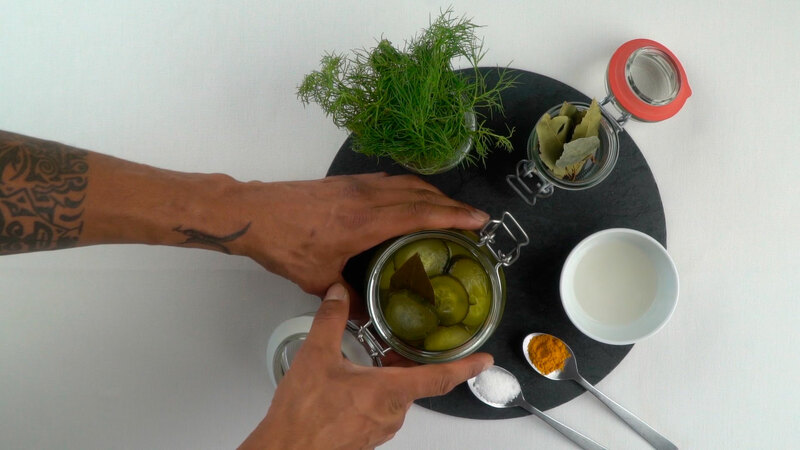 You can find some potted pickles that aren’t that bad, it’s true, but if you like cooking, we recommend trying to make them by yourself, home-made in vinegar, following our traditional recipe. It’s easy! Now, are you one of those who remove it out of your burger or those who ask for a double portion? Take the well washed fresh cucumbers and cut into slices approximately of half a centimeter. The first thing to do is to dehydrate them, so take a glass jar and put a layer of pickles, one of salt, one of pickles, one of salt and so on… Then store the pot in the fridge and leave it for 24 hours. Meanwhile, you should prepare the brine. Take a pot and add water on a very slow heat, Tarragon vinegar (or apple cider vinegar), a few sprigs of fresh Tarragon, some bay leaves, a teaspoon of turmeric and a pinch of white sugar. When it starts to boil, remove from the heat. Take the pickles out of the fridge. If you see that there´s water inside the pot, you are doing it right. 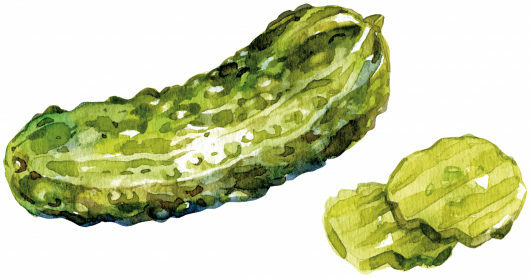 Drain them and fill the same pot with the brined pickles.